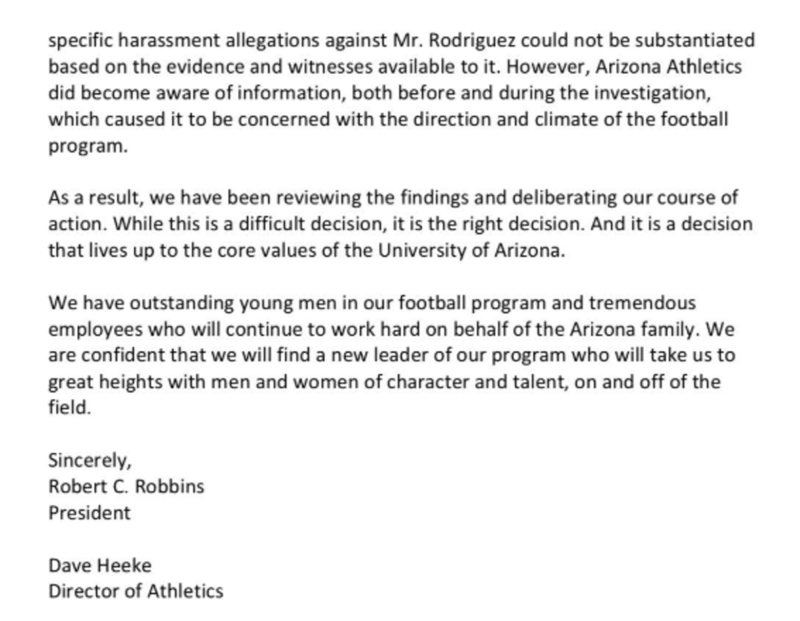 10:30pm ET Update> The university has now fired Rich Rodriguez. In short, the above says Arizona will honor their contract with Rich, paying him out. In other words, he is being terminated “without cause”. USA Today reported tonight that Arizona AD Dave Heeke is considering firing Rich Rodriguez. 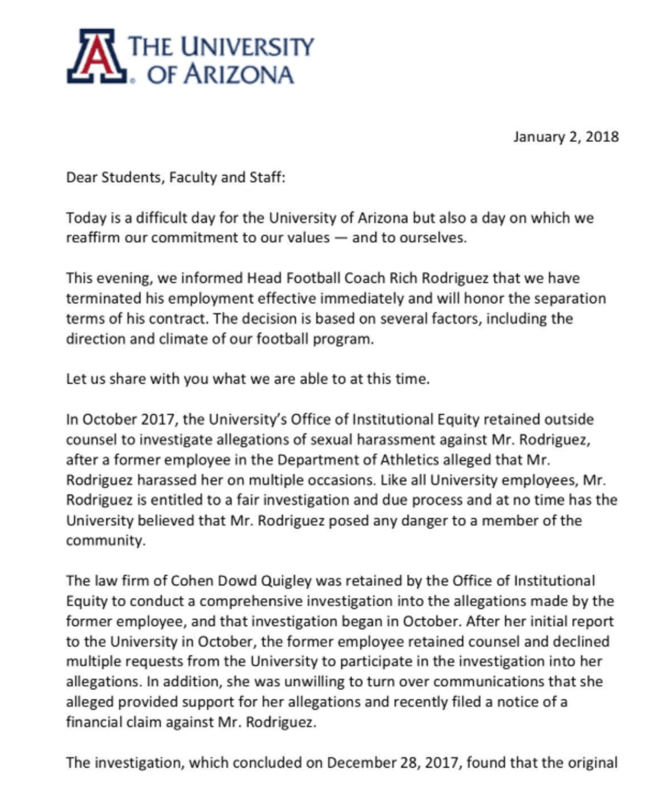 Beyond the on-field performance, however, the school also has been dealing with a troubling allegation behind the scenes that led them last fall to hire an outside law firm to investigate Rodriguez for potential workplace misconduct, according to the people with knowledge of the probe. Though no misconduct was determined by the probe, which Rodriguez cooperated with fully, a former administrative assistant subsequently has threatened to file a lawsuit against him. Our understanding of the situation is that this is fully related to the allegations and has little if anything to do with on field performance; however we are told Heeke and Rich are not perfectly aligned.